Citrus sorbet came from a doodle. Seriously. While drafting Mariner's Compass Stars one day with my STARWHIZ(tm) tool, I drew lines through two lopsided circles and suddenly felt inspired to colour. Assuming the colours would fall adjacent as there were and even number of pieces and alternated the blocks as well.. The slices reminded me of oranges and lemons, hence the colour scheme. I drafted the first pattern and began to wonder about piecing this??? Eventually I decided on raw edge appliqué and had a blast! There are a few tricks to this zany pattern, so it has been turned into a class. 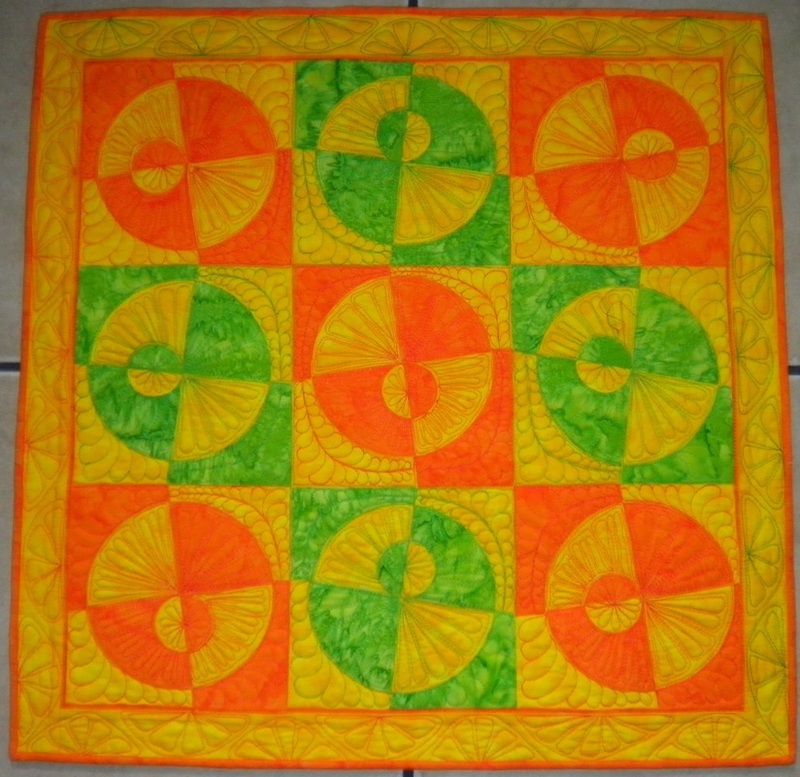 My friend Barbara Paton quilted feathers and areas reminisce of orange slices.